We were able to serve 370 people this year!! At the first location I attended, we were able to serve a good number of families. 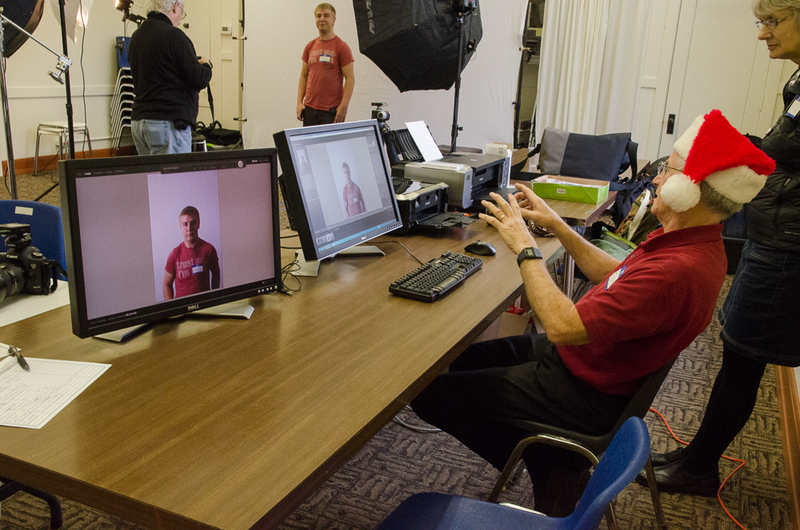 We had two photography stations and two print stations setup so things ran rather smoothly. We were able to spend some quality time talking with these families and getting to hear their stories. 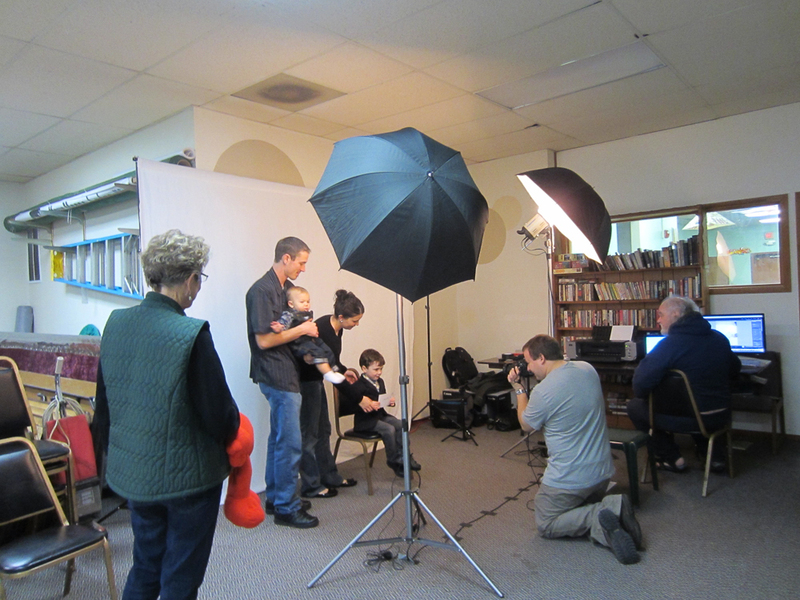 The majority of these families had never had a family portrait taken and they were so excited to have one taken. There’s no way to describe the feeling that you get when you hand them their portrait and seeing the joy on their face. One of our stations at the smaller location this year. That’s me taking the first initial shot where they hold up a card with their name and a number we provide to keep things organized on the computer. 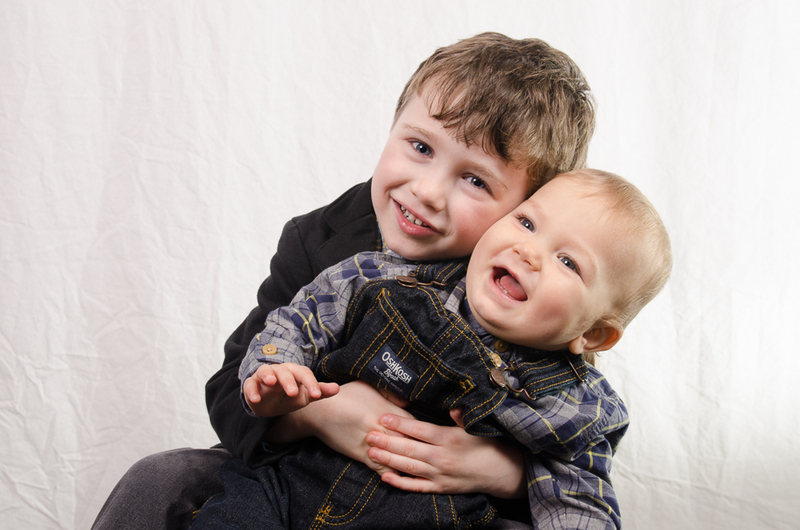 The parents wanted a shot of their two little boys and this is the one that they picked to take home with them! They slowly started to tip over to camera right and we were able to capture these great expressions before having to intervene! Don’t worry, no one took a tumble. Here’s a couple stories we were told when talking with a few of the families recorded by the volunteers at the event. The story to the right goes along with these two great people! Here’s the boy on his 5th birthday holding his little sister! We provide some snacks and coloring books for the kids as well. We are considering expanding more options to keep people entertained while waiting such as a Photobooth or more organized games for the kids. Always looking to improve upon the experience for everyone involved. Our print station for one of the locations. We had two monitors setup for much easier viewing when the families come over to pick out their favorite pictures. It was another fantastic year. You walk away with such a great feeling that even the following Monday… yes Monday, there’s an extra spring in your step. I strongly encourage everyone to find some way to give back and help those in need. Help-Portrait is a small way of doing so, providing a service many people have never been able to receive for any number of reasons. Find a location near you, they occur year round all over the place. If there isn’t one near by, get one started and start looking for volunteers right now! You don’t need to be a photographer to participate in these either. Just need a good attitude and a desire to give back. If you are into photography, a bit timid, or anything, this is a fantastic way to get some help from quality professionals in a controlled, relaxed and fun atmosphere. If you want to see some more behind the scenes shots you can check out the gallery by clicking here. 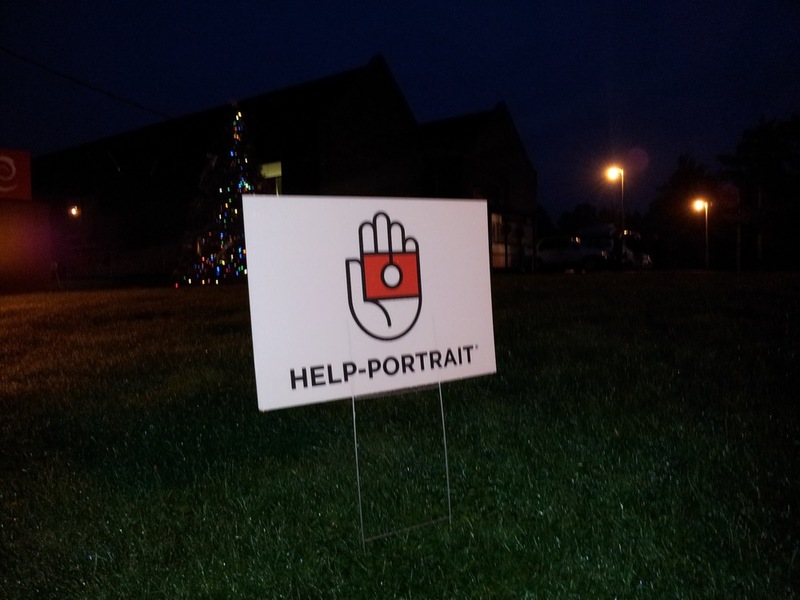 Help Portrait 2012. 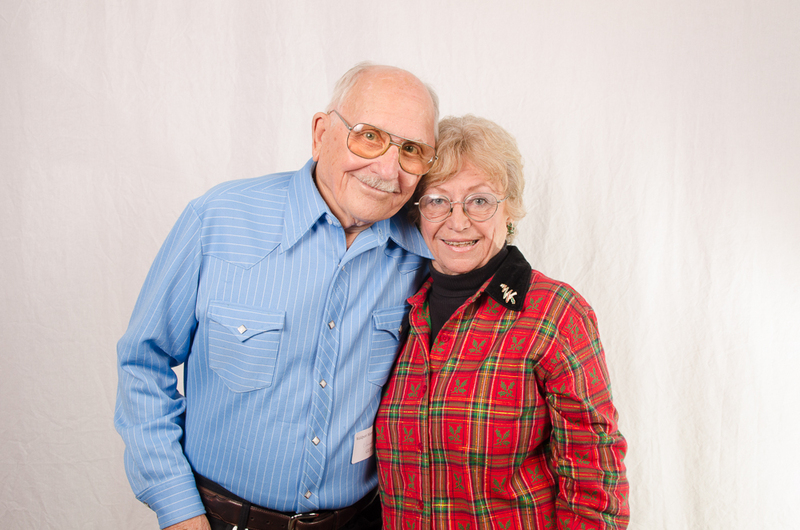 If you want to visit the local Help Portrait page for this area you can visit Help Portrait Oregon. Feel free to comment below or send me any questions you may have about our location, this event or anything at all.